Solicitor Amy Chater considers recent worrying news reports about people being passed cards berating them for being overweight. I was shocked to read today that some people on the London Underground have been handed cards about being overweight which told them they were fat and ugly and that treating them was a “waste of NHS money”. Whilst there is some truth that a considerable amount of NHS money is spent on conditions which are linked to obesity, this is not a “waste”. No one should be made to feel that their medical condition is not worthy of treatment, whatever its cause. There are many people who are fortunate to be slim and not need to diet. Many others struggle to lose weight. Weight loss with diet and exercise is a simple concept but can be very difficult in practice. Imagine if you are overweight and have tried every diet possible with no luck. You may then turn to weight loss surgery as a last resort. 99% of the time the surgery goes well and the patient loses weight, their “wasteful” conditions such as diabetes and heart disease improve, and all is well. Unfortunately, on some occasions, their surgery or care is substandard and results in the patient suffering harm. The patient is then actually in a worse position than before. Ironically they are using more NHS resources treating their new conditions and injuries that have resulted from the negligence when they were trying to do something to improve their health in the first place. 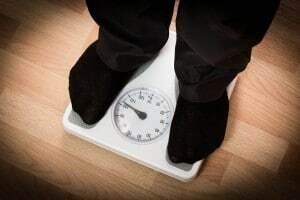 I and my colleagues in the Clinical Negligence Team are a niche team of clinical negligence solicitors who look after clients who have experienced injury and loss as a result of negligent weight loss surgery (often called bariatric surgery). We know what a traumatic experience that is and believe that the aim of the NHS, and our society as a whole, should be to help, not ‘shame’ overweight people.